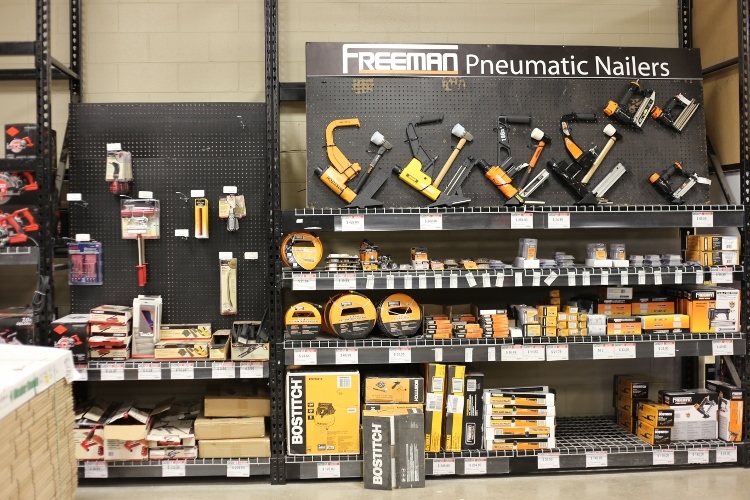 Have you ever entered a store and instantly felt like a little kid in a candy shop? 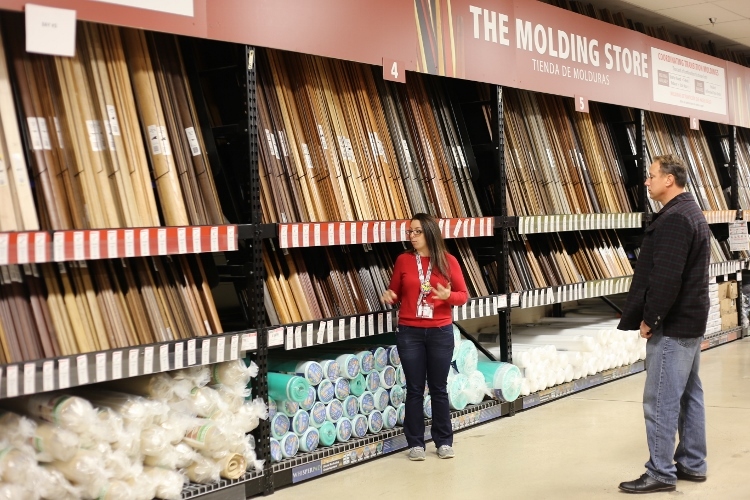 That was exactly my experience when I recently took my first tour ever of Floor & Decor. 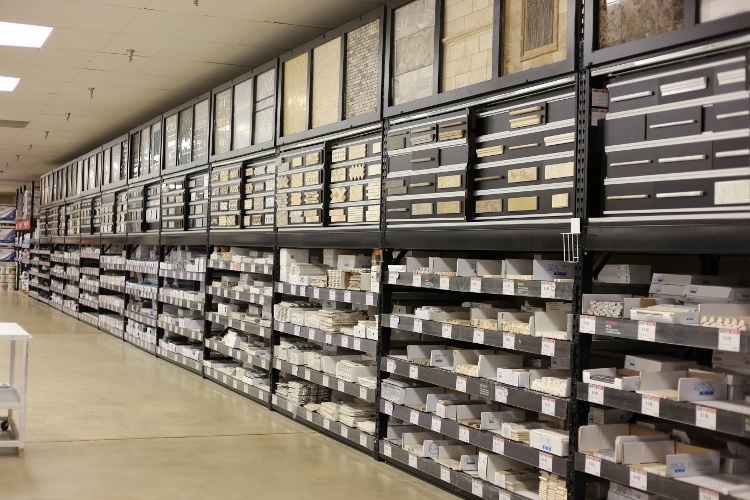 If you have never been to a Floor & Decor, then you are missing out on one of the most amazing hard surface flooring stores! 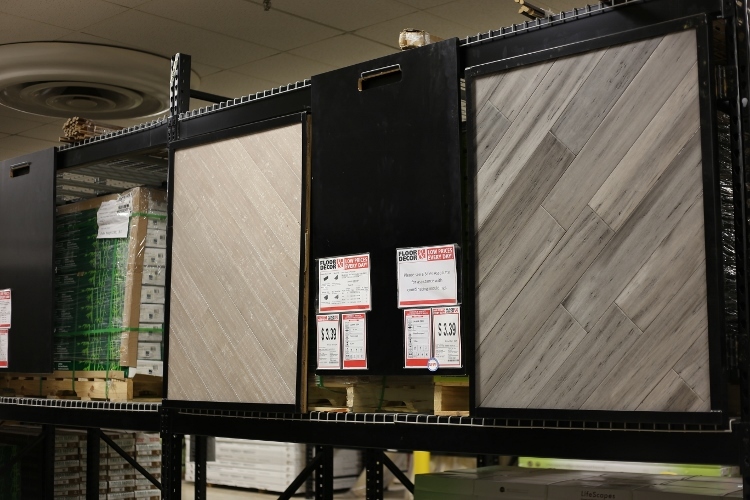 Hubs and I were invited to partner this year with Floor and Decor, take a personalized tour of the store and shop for flooring for our playroom upstairs. I can not tell you how cool this store is. Get ready for a million product pictures, because in my wide-eyed amazement, I went a little photo click crazy! 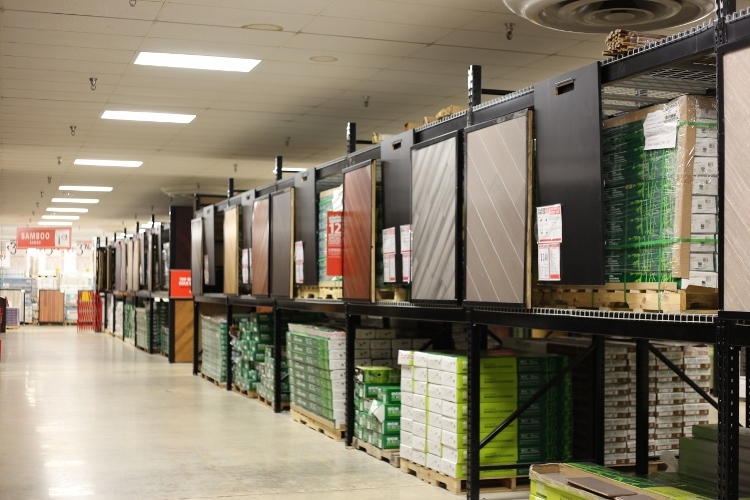 Floor & Decor has the largest selection of in-stock tile, wood flooring, laminate, vinyl, and stone. 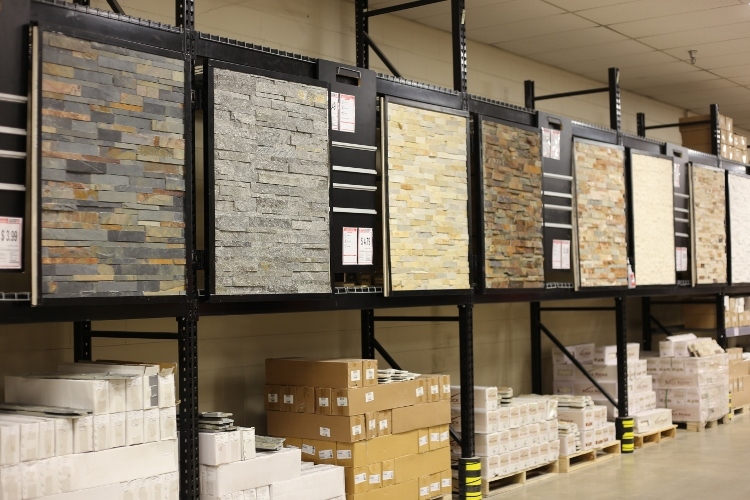 They buy directly from world wide sources, manufacturers and quarries, which allow them to price their top-quality products below competitors and give the consumer everyday low prices, guaranteed. 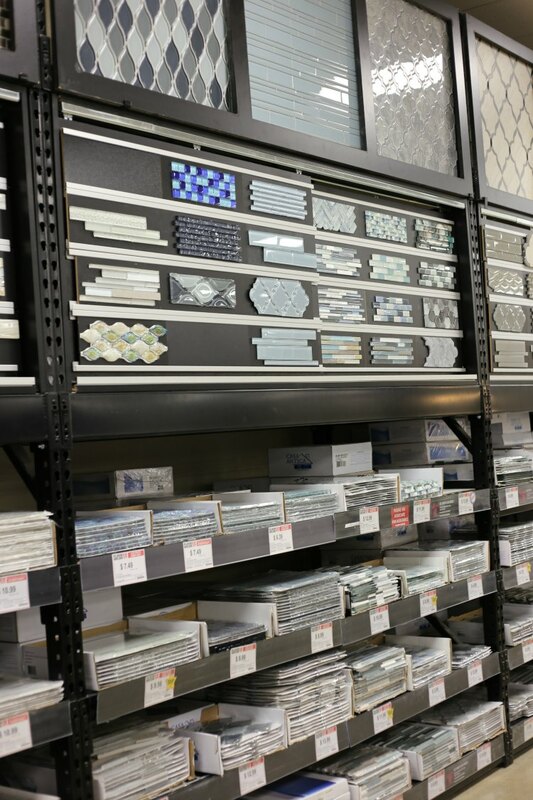 Right when you walk in, they have a design desk when you can meet with a designer (for free) who will help guide you to make the best product choices for your renovation. They also have a dedicated PRO services team ready to help. I was impressed by their showroom of mini bathroom mock-ups. 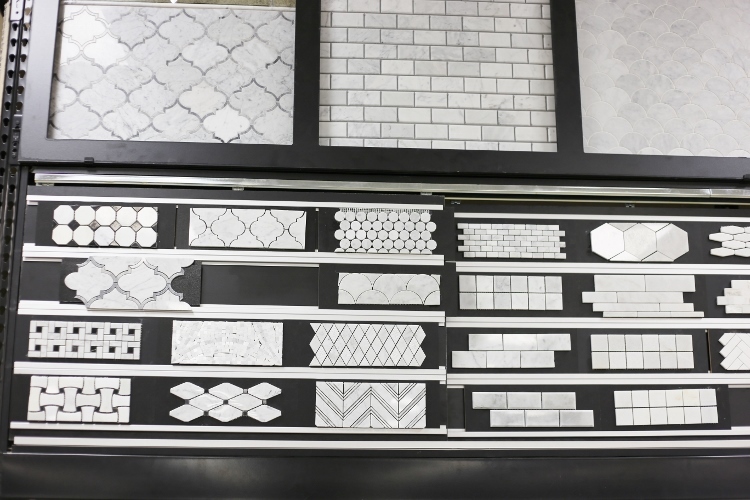 These beautifully designed displays are great visuals on how to creatively pair and combine their amazing selection of tile and see it in true-to-life scale. Notice the floors in the pic above? Seeing the tiles used in such large scale is a fabulous way to display how the tiles can be used. I wish my camera could have captured these bathrooms better. 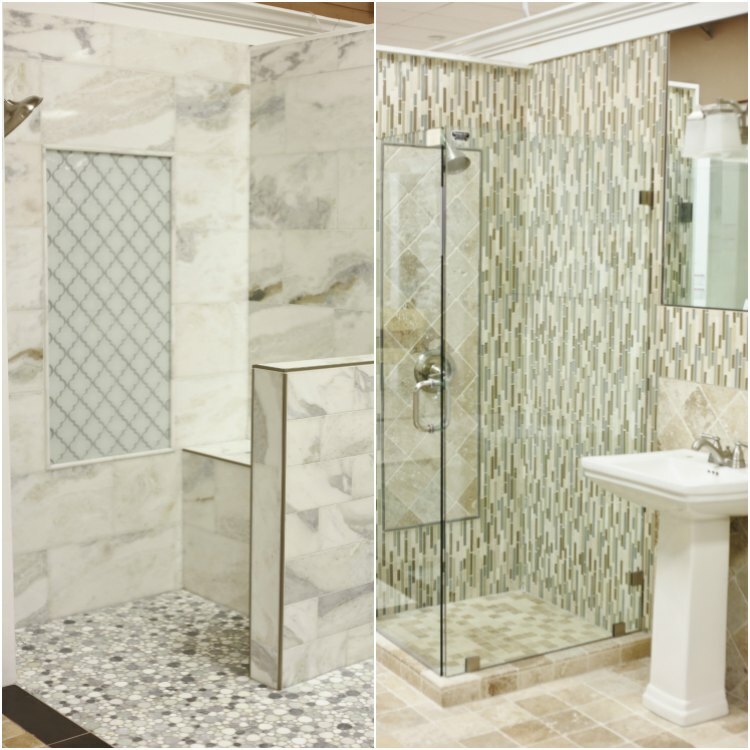 That marble mosaic tile on the left was shimmery with a pretty pearl finish. Just gorgeous! 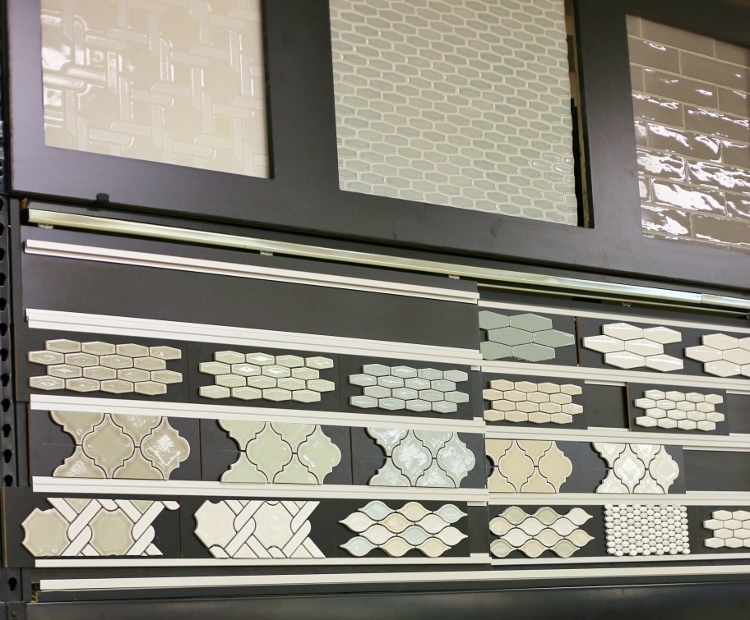 The clever mix of marble, glass, and stone tiles was impressive. 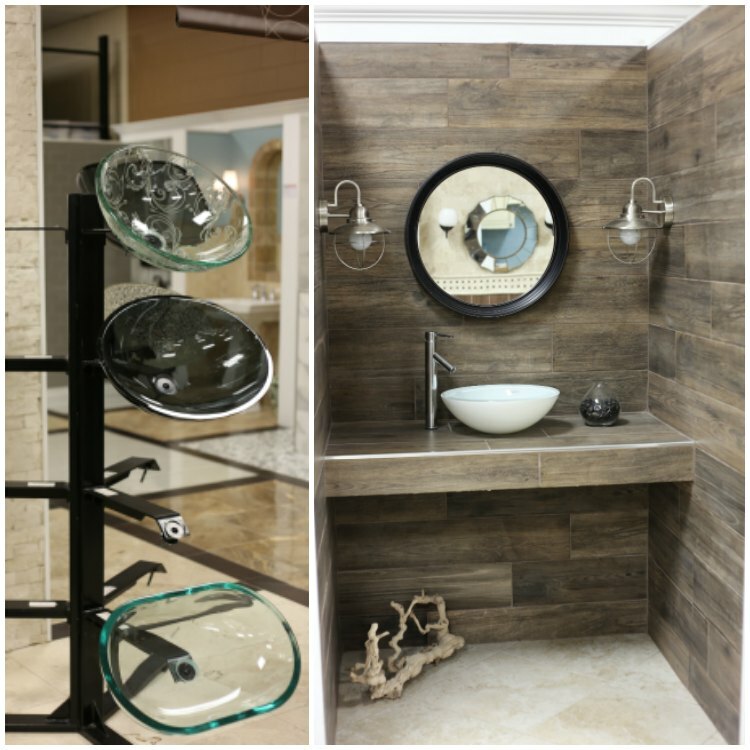 Floor & Decor switches out the bathroom displays at least twice a year. They like to stay current to the trends, which I appreciate. 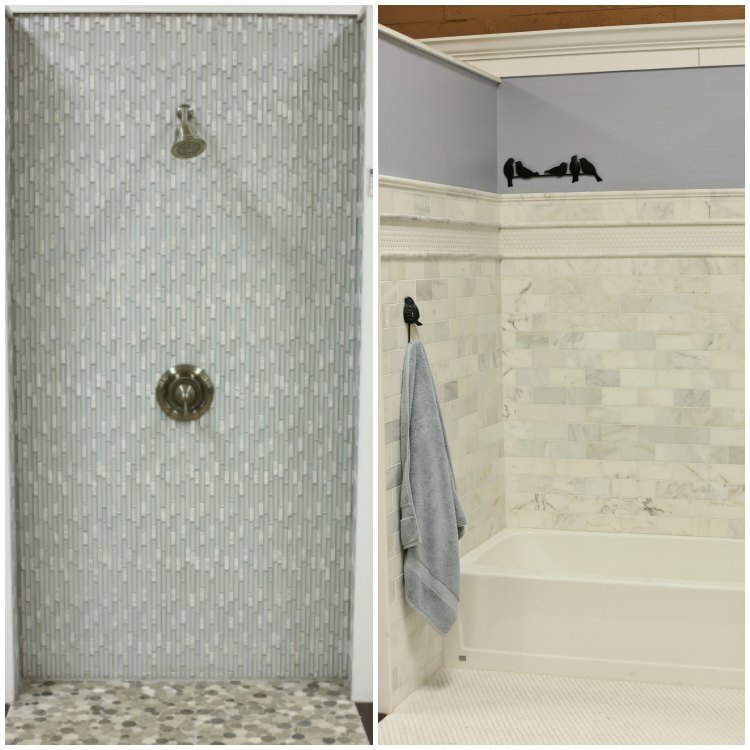 Would you believe that the wood planked, spa themed bathroom on the right is actually porcelain tile? Isn’t it gorgeous? 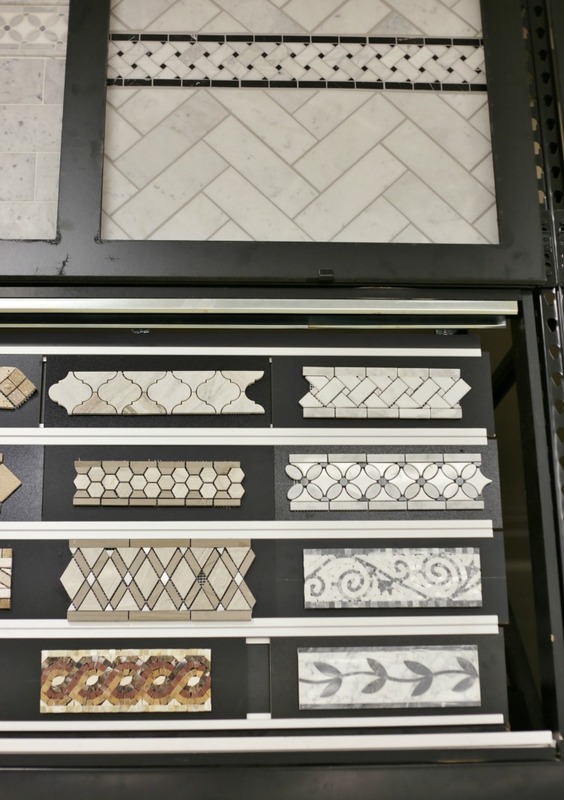 Let’s first take a look at the tile department. This is where I became starry eyed. If you are a marble lover like I am, then you will love this place! I have never seen so much Carrara marble in my life. 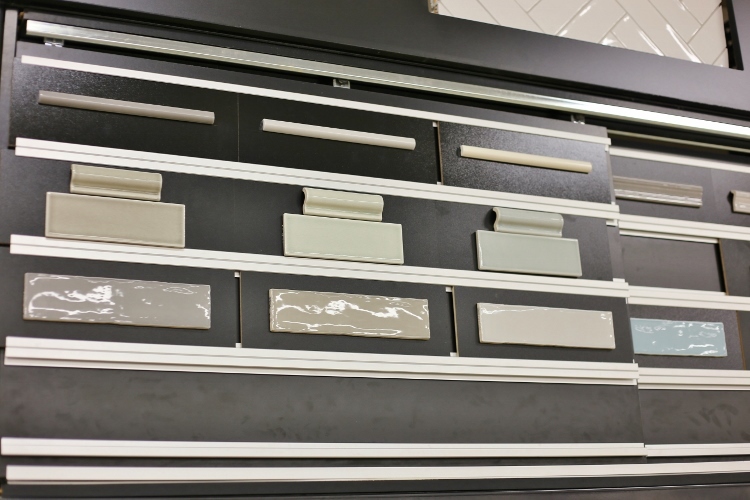 The sample displays throughout the store are large so you can see how the tile will look in your space. The vast array of marble tile patterns was impressive. 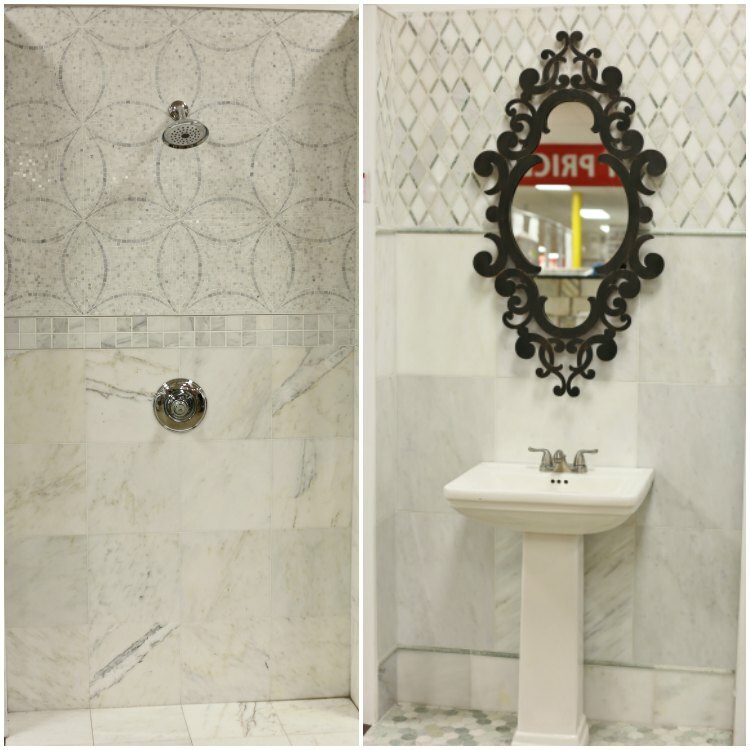 I would love either arabesque or cararra fan marble for a bathroom. Don’t forget the tile trim. 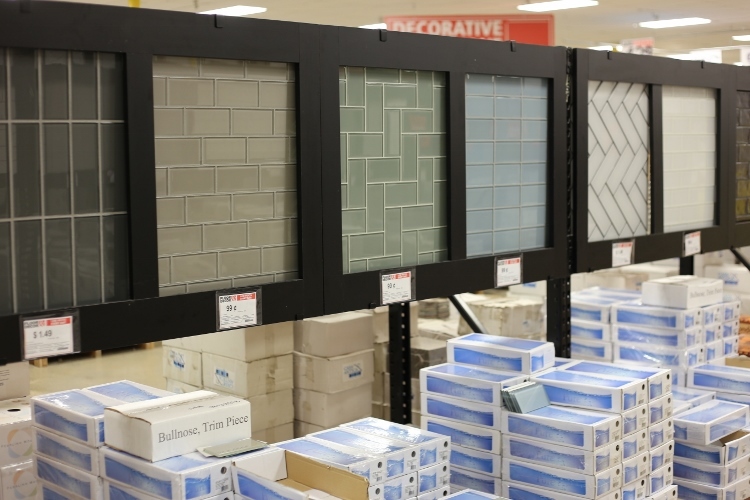 They have a nice selection of pencil trim tiles. 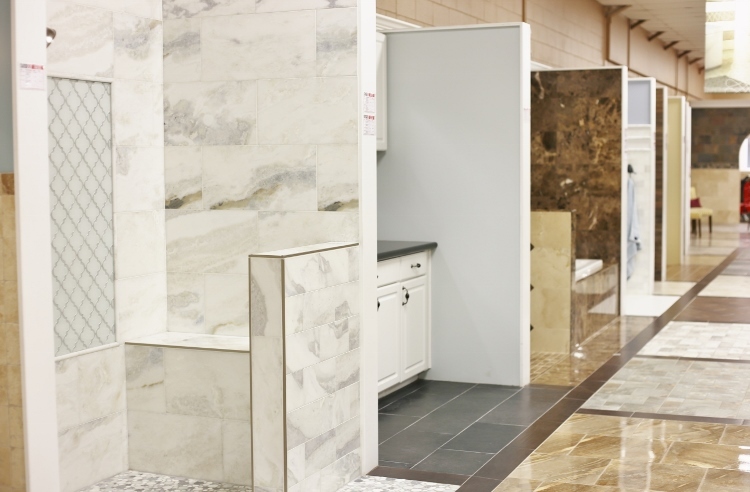 Forget wood baseboards in a bathroom! Floor & Decor offers luxury items too. Consider gorgeous marble crown molding, baseboards or chair rail! My husband was drooling over these. (I’m thinking a master bathroom remodel might be in the future!). That was just the white Carrera marble section. 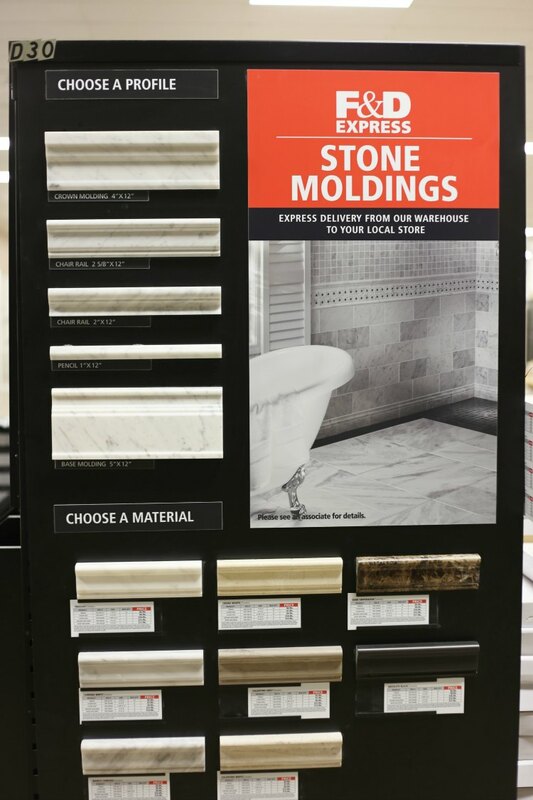 Let’s move on to darker colors of marble tile, ceramic and glass. 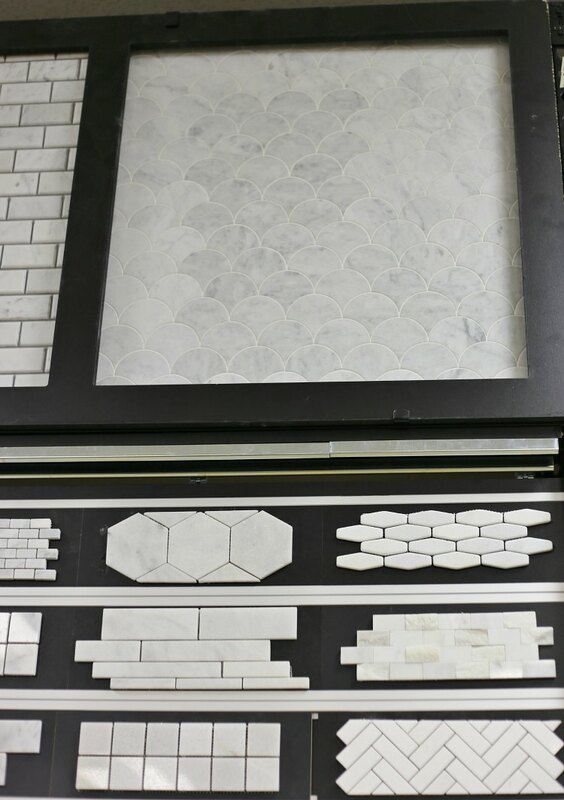 Floor & Decor has a huge and beautiful selection of subway and glass decorative tile. 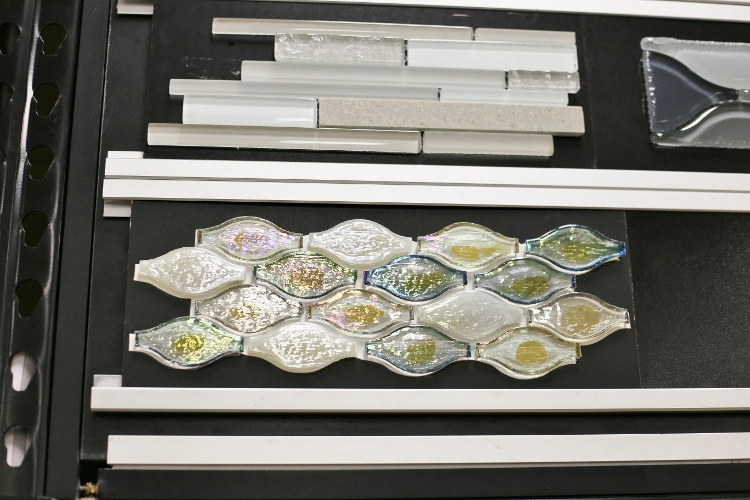 Glass tiles come in almost any shape, pattern and color you can imagine. These watery blue tiles caught my eye. 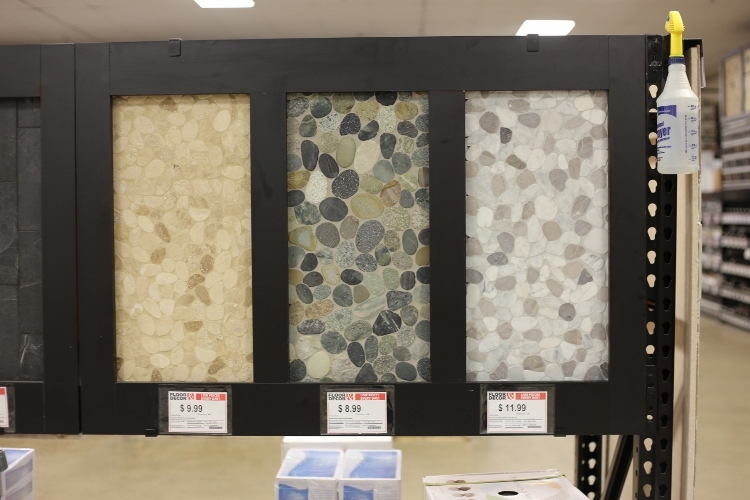 Wouldn’t these be nice for a coastal home? 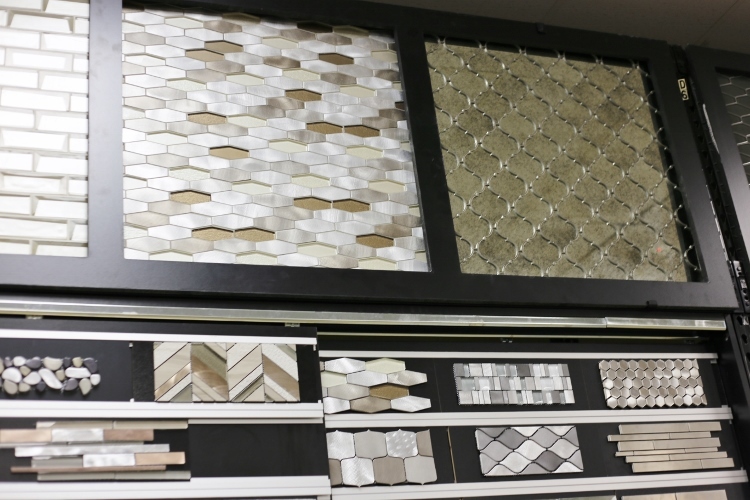 They even have specialty glass tiles with iridescent glazed finishes. 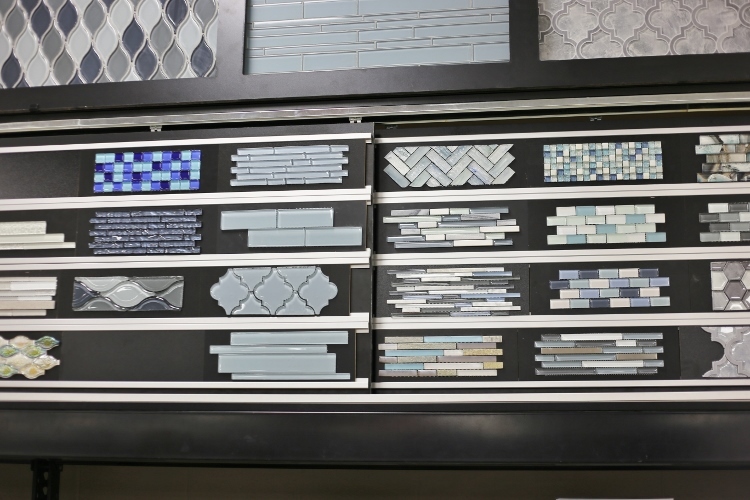 The glazed ceramic tiles are elevated with unique watery textures, modern patterns and soft neutral colors. 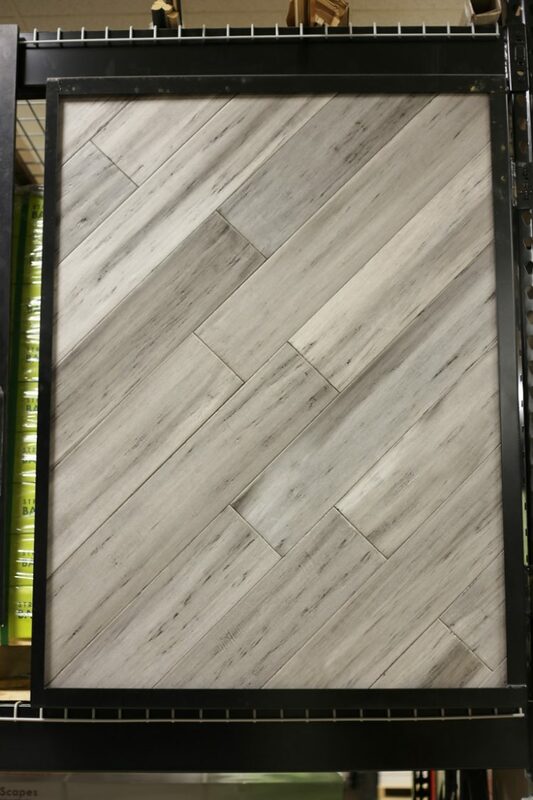 This collection below is one of this store’s top selling tiles. 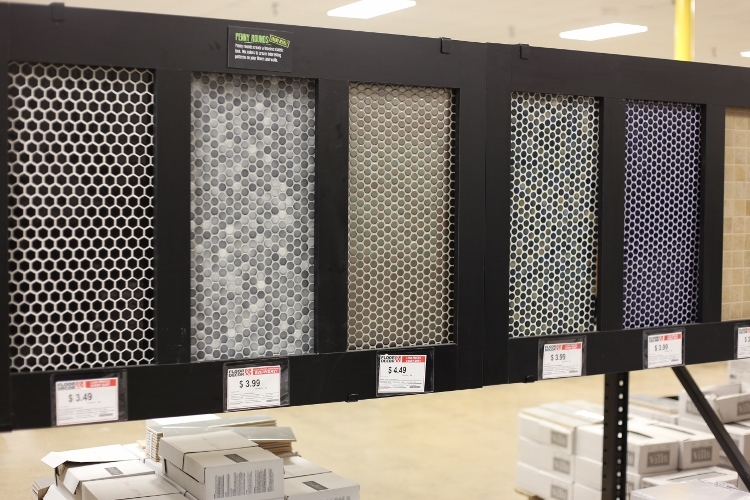 I have never seen such a huge selection of penny mosaic tiles. Below is just a small sample. Aren’t they beautiful? If you love the glamorous look and want to add a bit of shimmer and shine then you will love these metal and mirrors glass tiles. They are an easy way to add a bit of drama to a space. 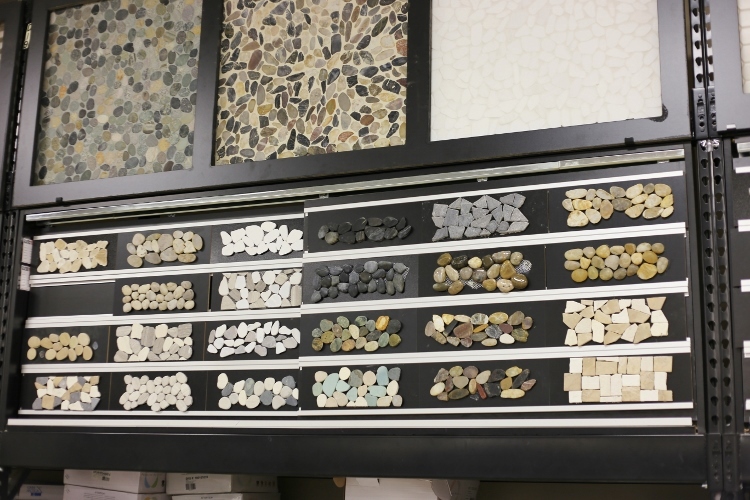 If your style is more natural, relaxed, and earthy then these pebble and stone mosaic tiles and trims are perfect. 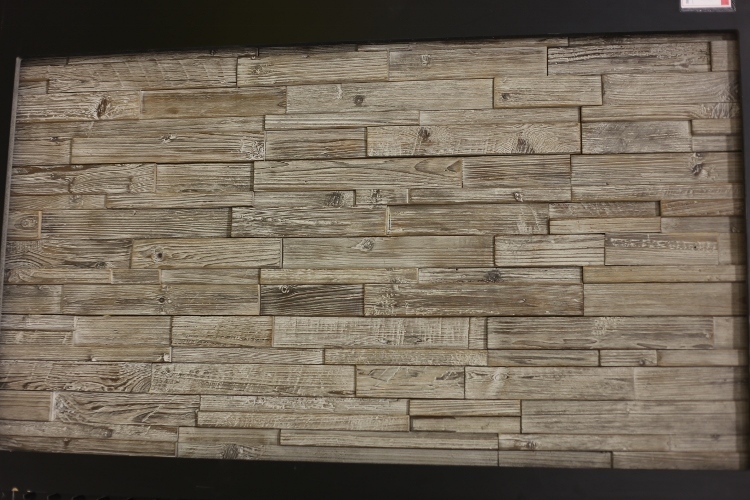 One row of “tile” that caught my eye were these reclaimed wood wall panels. The reclaimed wood comes from old ships. 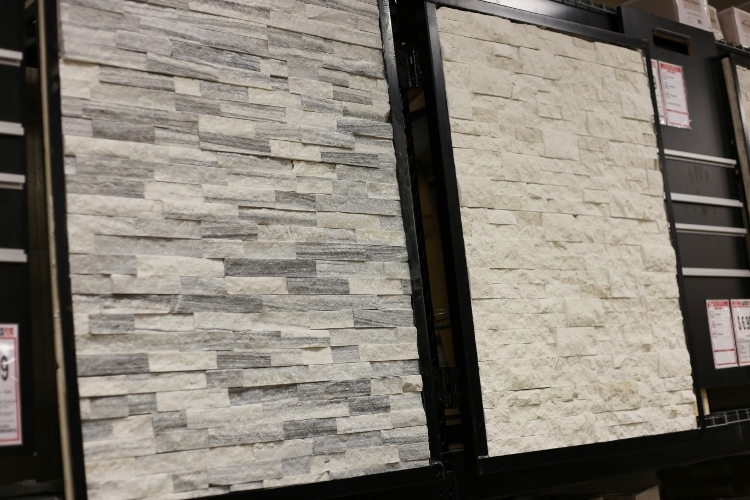 From granite, slate, to quartzite and travertine, these stone veneers panel ledgers could be amazing for a fireplace surround or any outdoor siding application. The possibilities are endless. 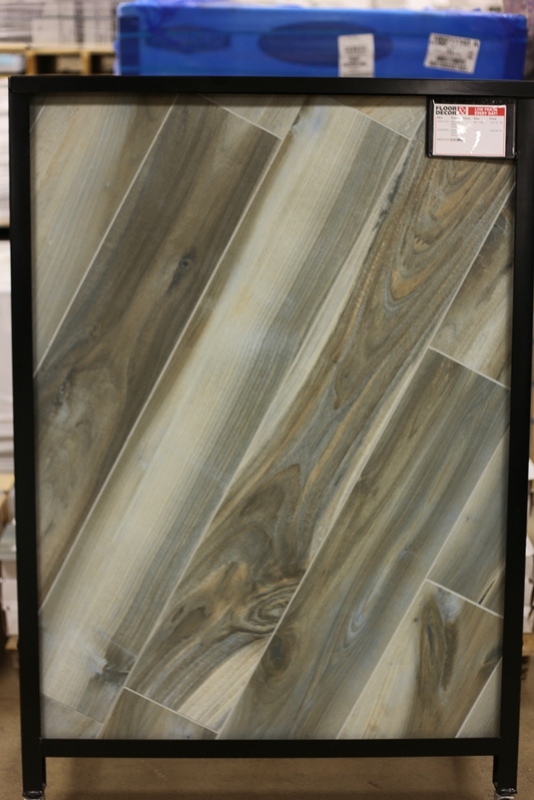 The Glacier Split Face Quartzite Panel Ledger is gorgeous. 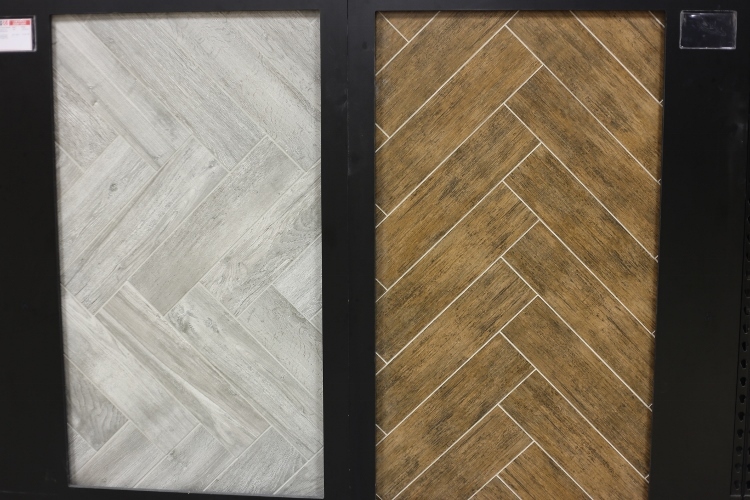 If you follow me on Instagram then you most likely saw my Instastories showing off these gorgeous wood plank porcelain tiles. Yes, they are tiles! 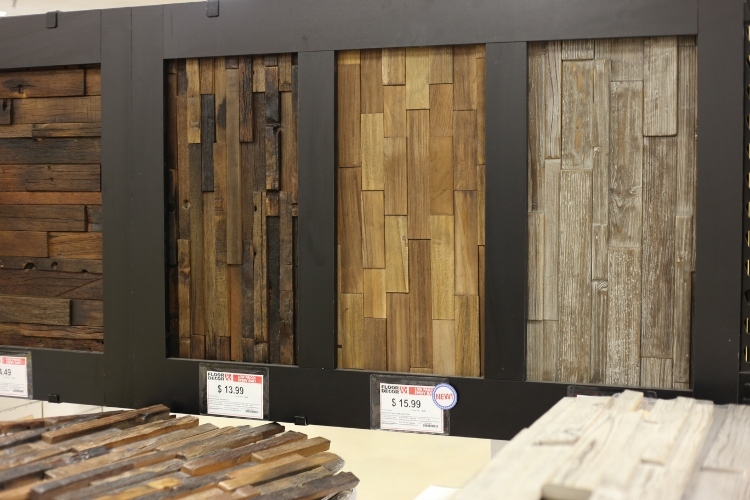 Floor & Decor has the largest selection of wood plank tiles that I have ever seen. They are so incredibly realistic looking, it’s shocking. This particular tiles took my breath away. Would it not be perfect for a beach house? So beautiful! This one has soft shades of gray with a touch a dusty blue. 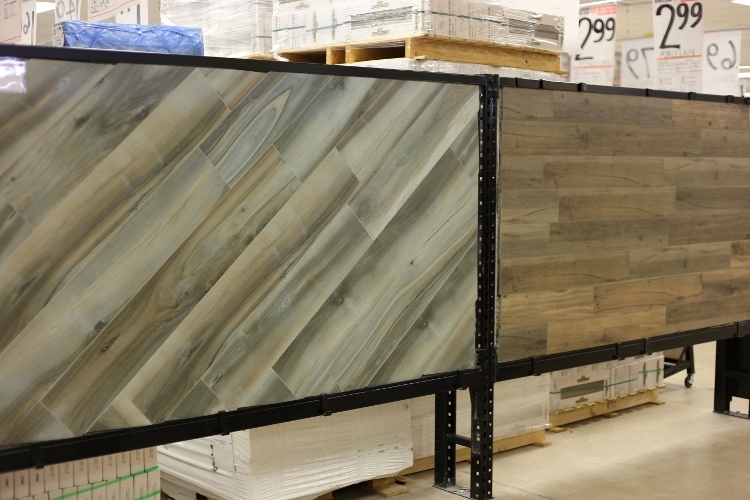 It is called Brookwood Silver Wood Plank Tile. When I buy a beach house, this is going in! 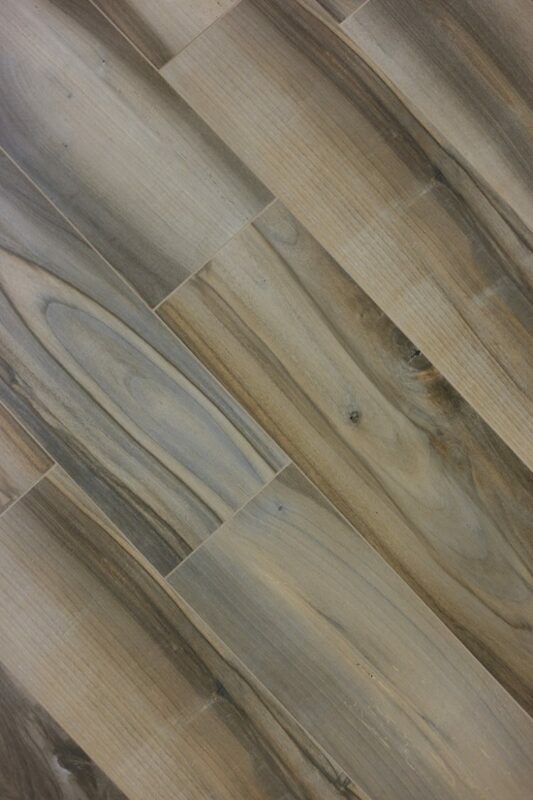 Below are more amazing selections in the wood plank tile department. 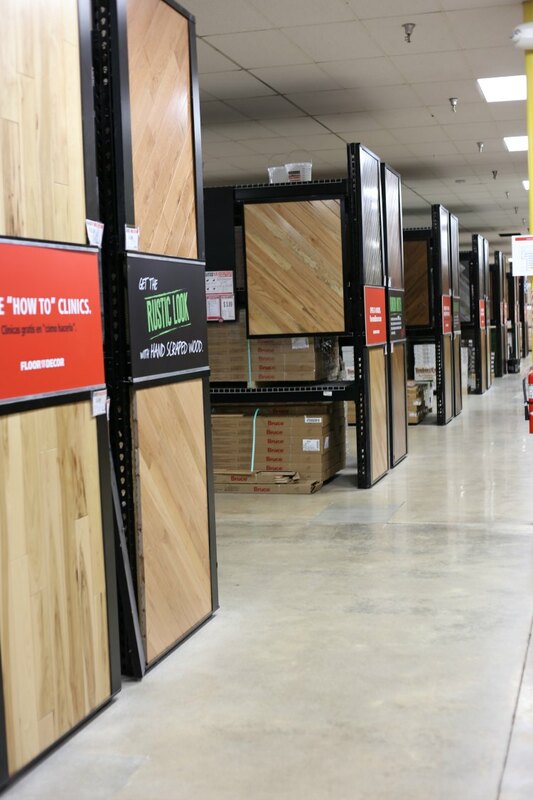 Welcome to rows and rows of top quality wood flooring! 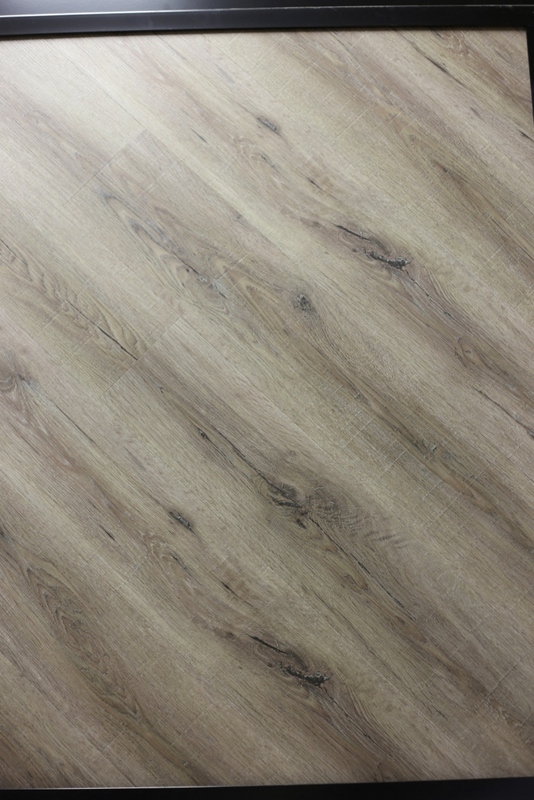 Floor & Decor offers anything from solid unfinished hardwood to pre-finished solid hardwood and engineered hardwood flooring. 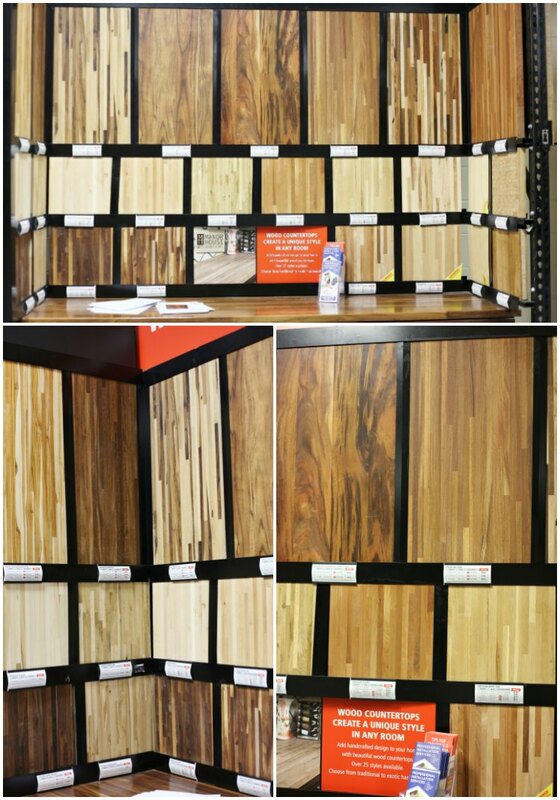 We were very impressed with the expansive selection of bamboo flooring. I will admit, I had no idea bamboo came in such an array of colors and textures. 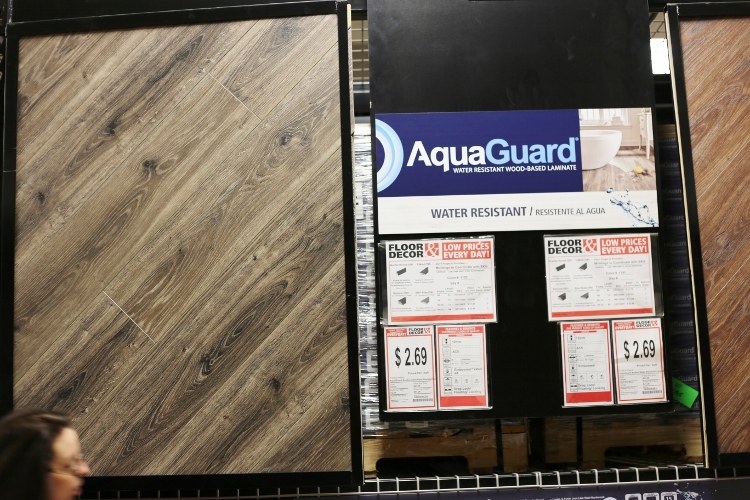 Floor & Decor offers options in water resistant wood laminate and 100% waterproof luxury vinyl. 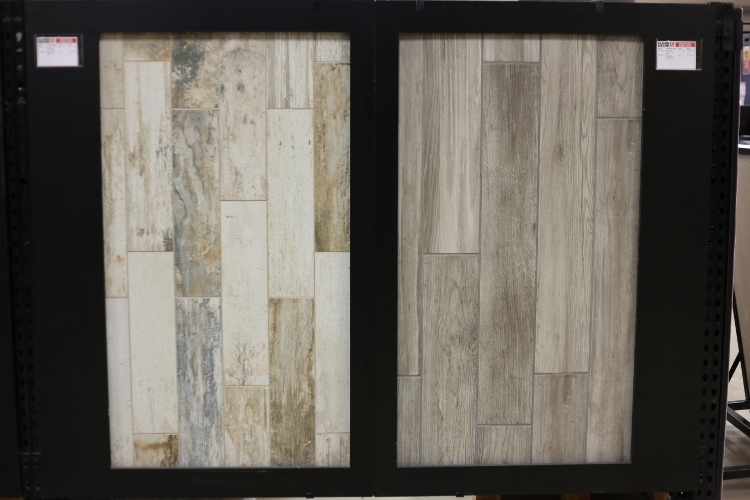 Both are so beautiful, will fool the eye, and offer amazing water resisting qualities, perfect for any basement space, laundry room, kitchen, or bathroom. 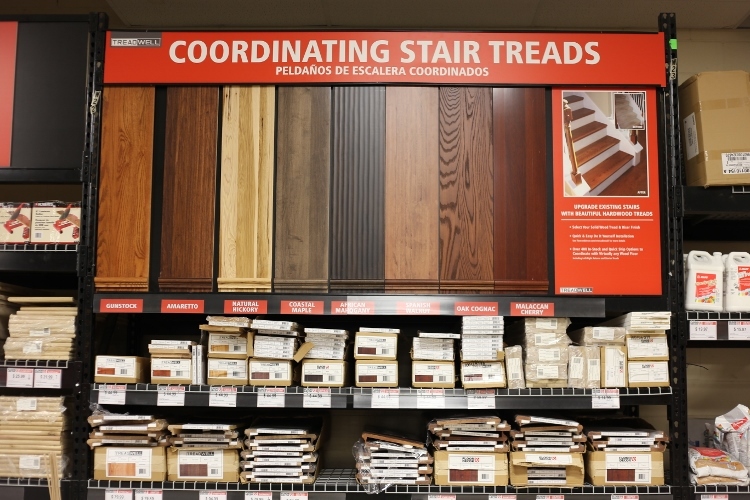 Floor & Decor has a huge selection of stair treads, un-finished and pre-finished, and also an array of coordinating wood moldings and transitions. 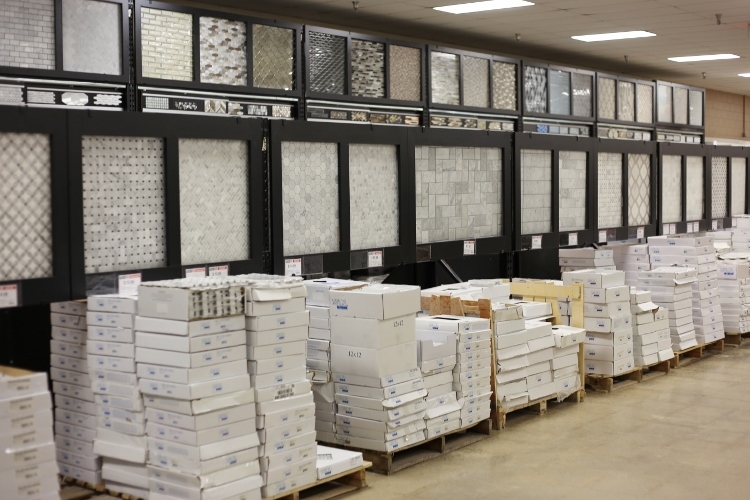 Not only do they supply flooring and tile but they also sell everything you need to complete the project. 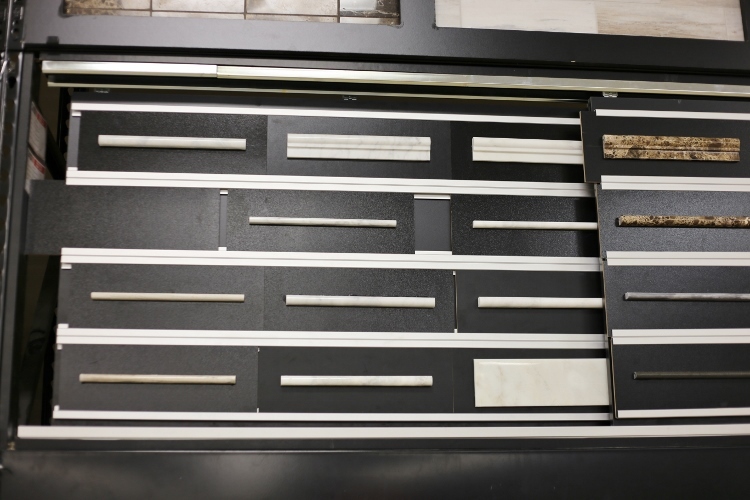 From grout and mortar, to tools. 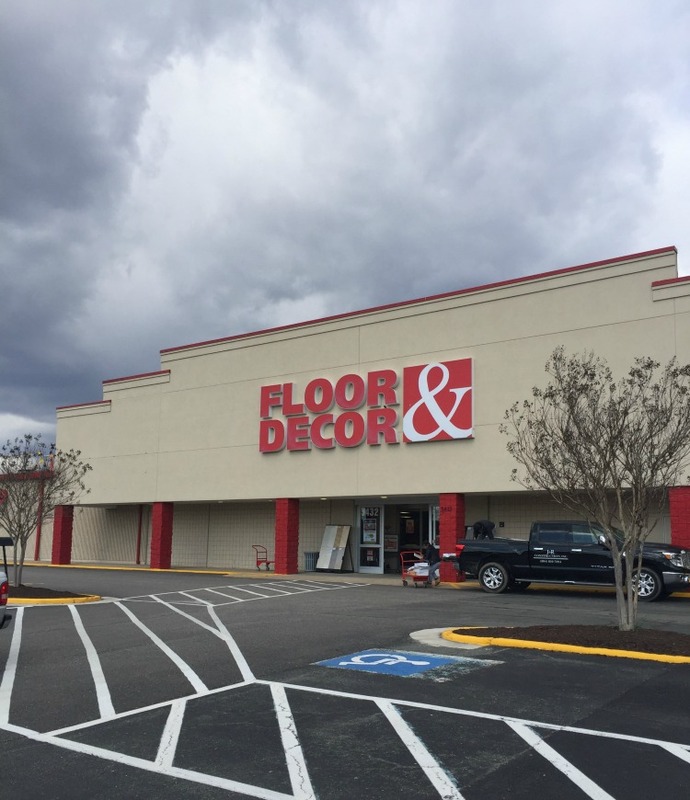 Floor & Decor has it all. 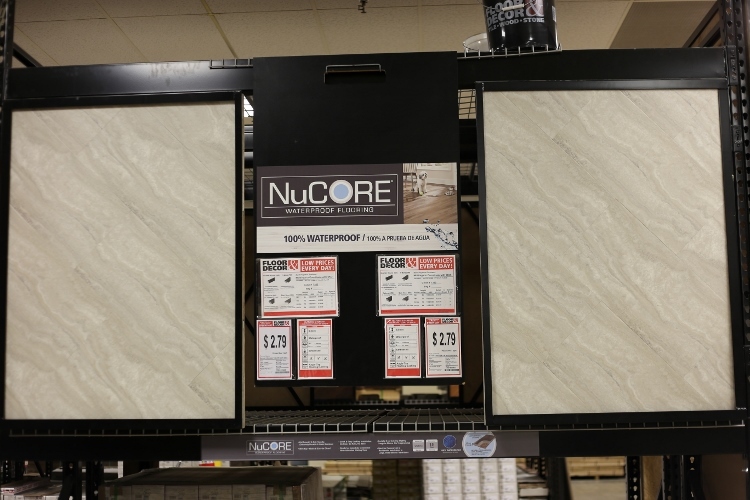 Beyond flooring and tile choices, Floor & Decor offers a selection of countertops. Just look at the choices of butcher block countertops! 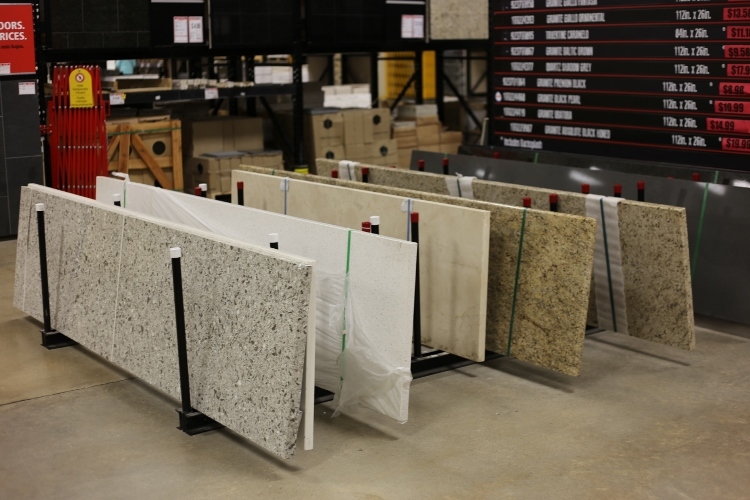 They also supply granite countertops. So what do you think? Can you believe how amazing this store is? I have to thank the wonderful associates who helped us during our visit. Each person was highly helpful and new so many facts about any product we asked them about! 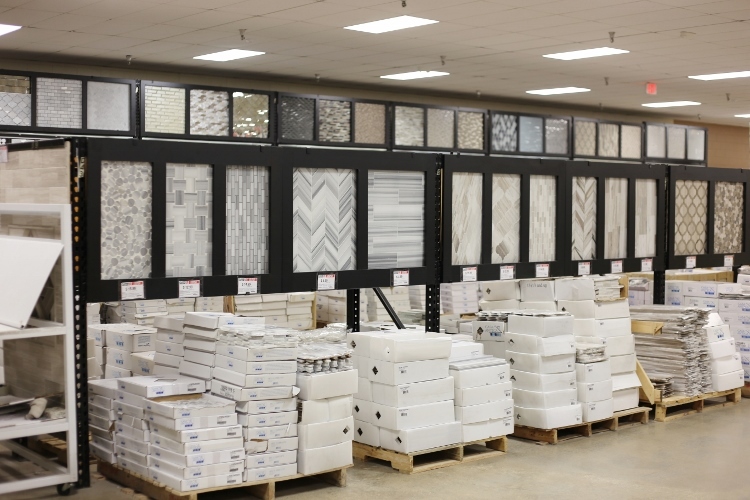 You have to check out your nearest Floor & Decor! You will not be disappointed! Yep, my favorite store. 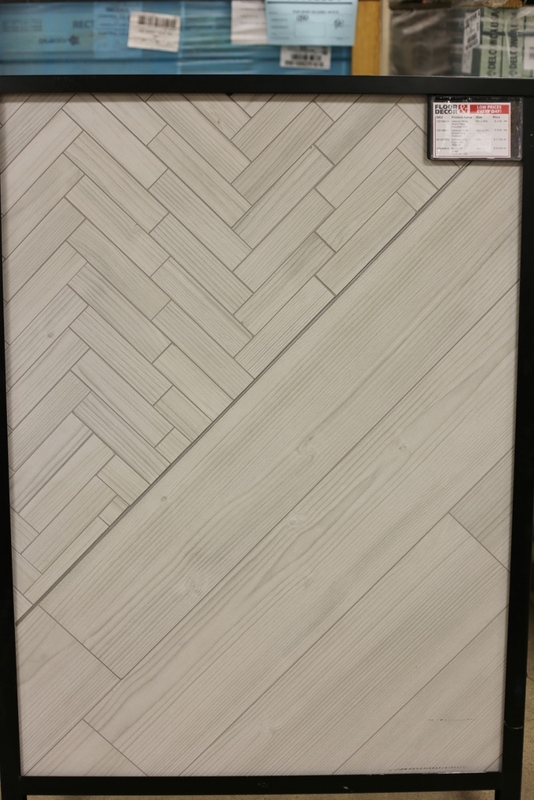 Our floors and all our tile came from Floor & Decor. Such great selections and prices. Thanks Marty! This was the first time I’ve ever been there! We were so surprised at the variety they offered! The staff was so helpful and kind at our store. 😉 I can’t wait until they open a new store in my city next year! Woo hoo!